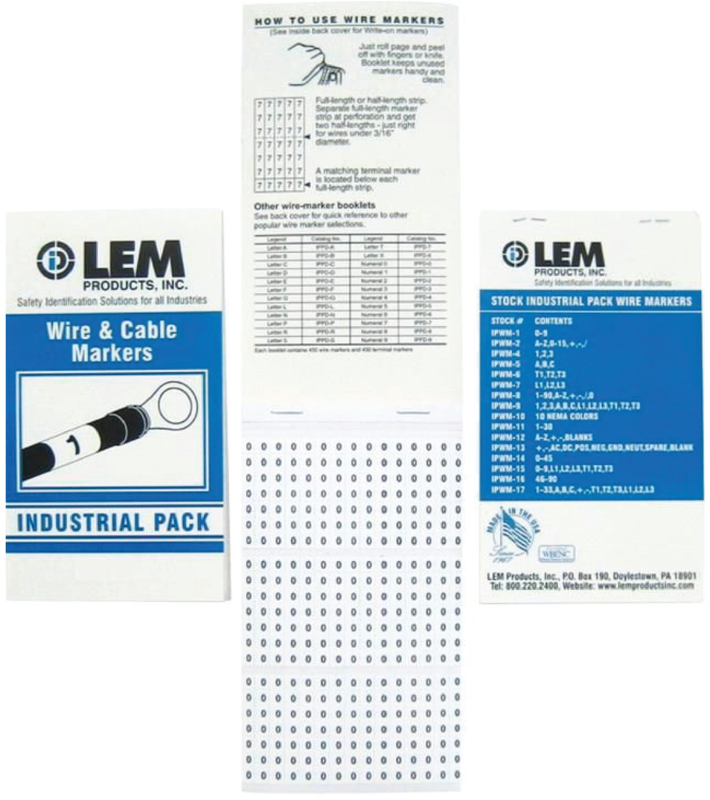 We offer wire and cable markers and voltage markers for industrial identification that are always in stock for immediate delivery. Pocket packs & cards are made of durable vinyl impregnated cloth with an aggressive adhesive that firmly wraps around the wire or cable providing clear and lasting identification. Snap-On wire markers are injection molded plastic markers that easily mark pre-connected wires and cables and mark wires that are contained in areas with limited space. Markers stay in place when applied and will not slide or move on the wire. 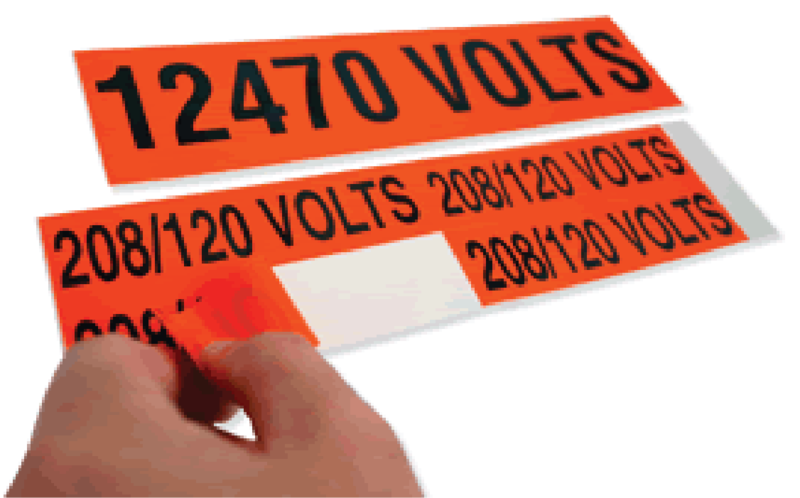 Provide safety marking for power lines, conduit, bus, fuse boxes, switches, electrical equipment, and outlets. These pressure sensitive vinyl markers adhere to most surfaces, apply easily, and are available in 3 convenient sizes.